Make your mark on Jewish student life by joining CU Boulder Hillel as the Director of Jewish Student Life. As a community builder, you’ll inspire students to be partners in creating a vibrant and welcoming Jewish community on campus. You will drive Hillel forward by thinking big and implementing with excellence on a day to day basis. The ideal candidate will feel energized by working with college students and be skillful in motivating, supporting and inspiring them to create meaningful Jewish experiences for themselves and their peers. The Director of Jewish Student Life will report directly to the Executive Director and will work as a trusted partner with CU Boulder Hillel’s Program Director and other staff. The top candidate is a mentor who provides inspiring leadership to students seeking to explore their Jewishness and define their place in the Jewish community, builds meaningful relationships with both students who are involved in Jewish life and students who are not yet engaged, and encourages students to grow as community leaders. You will be supervising and overseeing the Religious Life wing of CU Boulder Hillel’s Student Leadership Board and working directly with students and colleagues to create programs and initiatives with deeper Jewish and religious content, values, and learning. The Director of Jewish Student Life must be capable of working both independently and as part of a team and have the ability to prioritize and handle multiple assignments. You will also be comfortable working in a flexible “start-up” Hillel environment, with a positive attitude and eagerness to try new ideas. CU Boulder Hillel is in the start-up phase, and we are excitedly building the ship as we sail! This is so much more than your average 9-to-5 job. Mentor student leaders in their Jewish growth through individual meetings and group trainings, in order to cultivate a Jewish community that is caring, diverse, welcoming and actively inclusive. Work in partnership with students and staff to implement and help transform a wide range of programs, including Shabbat and holiday celebrations, social opportunities, social justice projects and intentional Jewish learning opportunities. Serve as an advisor for our various Hillel communities such as CU Mountain Jews, and other initiatives you help create with students and other staff members. Having coffee/tea with a new student who has expressed interest in becoming more involved in Jewish life on campus. Working on a plan for what marketing will look like for an upcoming event at Hillel. Meeting with University officials in Student Life or Housing on opportunities for partnerships. Meeting with cultural organizations and Greek life students to discuss co-sponsoring an upcoming event on campus. Working with the Program Director and other staff to plan upcoming programs and developing new Jewish learning initiatives. Meeting with a myriad of Jewish student leaders on campus or at Hillel, whose organizations are supported by CU Boulder Hillel through funding and YOUR leadership, mentoring and guidance. Taking some time for personal Jewish learning or a class. Facilitating an evening discussion following a film, speaker, or program. 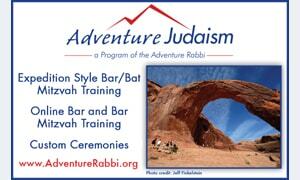 3-5 years professional experience in Jewish, experiential or higher education. Experience as a volunteer or professional in a Jewish organization and/or University Student Affairs is a plus, as is experience supervising or advising both traditional and non-traditional age college students. Bachelor’s degree required; Advanced degree is a plus. A passion for working with emerging adults and investing in their growth as Jewish leaders. A team-oriented approach to work, a strong work ethic, a sense of humor, an ability to take risks and learn from mistakes as well as act as a role model for peers and student leaders. A commitment to pluralism and comfort with your Jewish identity so you may act as a role model and mentor for emerging Jewish adults. Owning your unique Jewish knowledge and experiences and inspiring others to be on a Jewish journey. Comfortable working independently and collaboratively. Comfortable both learning and teaching. An entrepreneurial spirit – excelling in an environment that is more like a start-up incubator for new ideas and social entrepreneurship than a traditional Hillel. Strong written and verbal skills, effective at communicating with a variety of stakeholders including students, parents, alumnae/i, and university partners. 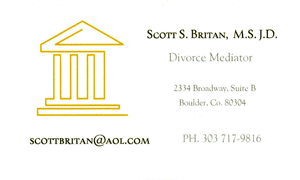 A comprehensive benefits package, including health insurance, retirement plan, Life, AD&D and Long Term Disability (LTD) insurances, Flexible Spending accounts, generous vacation/sick time, and parental leave. CU Boulder Hillel is the Center for Jewish Life on campus and the Jewish home-away-from-home for over 2,500 Jewish students. At CU Boulder Hillel, our goal is to build a Jewish community whose values enrich the lives of students during their college years and beyond through outreach, engagement, and education. We strive to create a safe, welcoming community for all Jewish students on campus. Student-run and staff supported activities include weekly Shabbat dinners, weekly Tuesday night educational and social programming, social justice volunteer alternative break trips, CU Mountain Jews Wellness initiatives, leadership development, and much more. CU Boulder Hillel connects Jewish students with mentors, with Jewish tradition, and with each other as they navigate their transition to Jewish life in college and beyond. As the flagship university for the state of Colorado, the University of Colorado, Boulder is home to over 31,000 undergraduate and graduate students. A university with world class academics, sports, and social life, the University of Colorado has innovative academic programs and numerous hands-on opportunities for students that prepare them for a complex global society. The faculty includes five Nobel laureates, eight MacArthur “Genius Grant” fellows, two U. S. Professors of the Year and four National Medal of Science winners. The University of Colorado is located in one of the most spectacular settings to go to college and one of the most beautiful cities in the United States. At 5,430 feet above sea level, Boulder is tucked into the foothills of the Rocky Mountains. 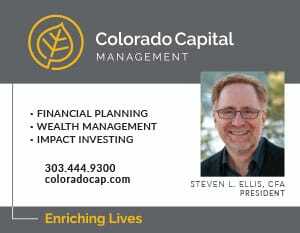 It is only 30 miles from Denver and has emerged as one of the most inspiring and entrepreneurial environments in the country. National Geographic and the “Today” show recently recognized Boulder as “The Happiest City in the U. S..” Forbes recently noted Boulder tops the list of an etiquette expert’s friendliest cities in the nation. Boulder has earned a spot on Gallup s Highest Well Being Communities list for several years running. And even back in 2011, CBS News wrote, “If happiness is a state of mind, then Boulder is its capital.” With amazing outdoor life from hiking to biking to access to skiing, phenomenal restaurants and craft breweries, and historic Pearl Street, it’s easy to see why Boulder has been dubbed the city nested between the mountains and reality. 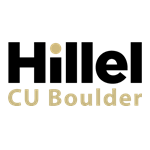 CU Boulder Hillel is affiliated with Hillel International. Hillel International enriches the lives of Jewish students so they may enrich the Jewish people and the world, and envisions a world where every student is inspired to make an enduring commitment to Jewish life, learning and Israel.